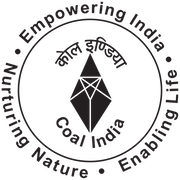 Online Application Details for Mahanadi Coalfields Limited MCL Recruitment of 30 Mining Trainee is given below. Application form and duly attested documents are to be sent to Senior Manager (P/Recruitment), Mahanadi Coalfield Limited, P.O. Jagriti Vihar, Burla, Sambalpur, Odisha-768 020. In envelope super scribed with 'Application for the Post of Post Name'.